Pass the salt? Eat your peas? You can do better than that! 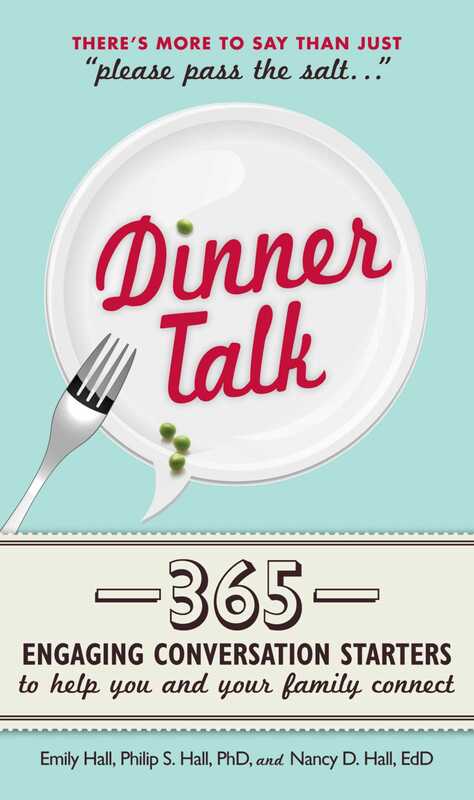 This book provides you with 365 ways to spark conversation and engage your youngsters while you gather around the table. If you could adopt a single trait from a wild animal, such as horns or a poisonous bite, what would it be? If you could invite any character from a book or movie to do something with you, who would you invite and what would you do? What would your life be like if you could be invisible? Studies show that kids who participate in regular family meals get better grades, have larger vocabularies, and are healthier than kids who don’t. So grab your fork--and your imagination--because it’s never too early to start a dynamic dinner routine!